It was great to see so many people give up their Saturday morning to hear Greg give us the follow up session to his talk at the ALL London January event. A report of the event has been posted on the ALL London website together with photos and the progression chart he showed us. Memory power – how does your garden grow? I love it when students tell me about sites they’ve found/are using as it’s an indication to me that they are really switched on to independent language learning. A month or so ago a colleagues drew my attention to Memrise, a site for helping you learn vocabulary by stimulating the brain to make connections between a word and its meaning. 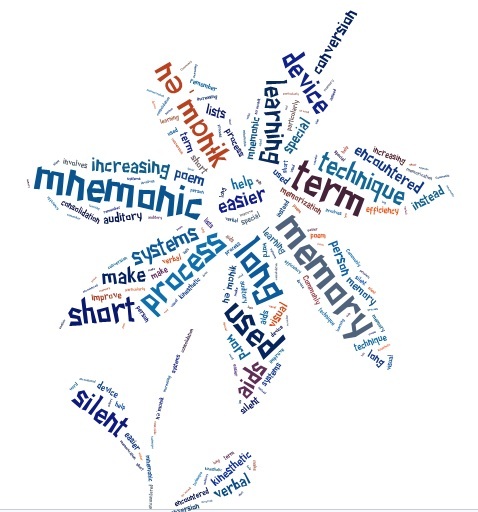 The “mem” is in fact short for mnemonic and could be in the form of an image, story, phrase, audio or video and so on. I had a brief look at it when my attention was first drawn to this site but it was only when one of my year 12 students mentioned recently that she had been using it that I gave it a closer look. Memrise is a wiki and aims to provide a fun way to learning languages and facts by creating a community of learners who share their own “mems”. The concept is simple; your memories start as “seeds”, you nurture them in your “greenhouse” (or short term memory) and finally you can harvest them in your “garden” (long term memory). Over 50 languages are available and once you have created your free account you can access any of the courses within each language. The “courses” are created by members of the Memrise community and can be anything from the vocabulary featured in a chapter of a course book to a thematic list of words. When you start a “course” the words appear as flashcards; there are also sound files and you can see what “mems” have been created by other users which could help you learn the words. The words are presented in groups and every so often you are “tested”; this takes various forms from multiple choice recognition to writing the English for the word, or writing the word in the target language. In the case of the latter there is a bank of special characters that can be used in the case of French/German words etc that require accents or umlauts. You get instant feedback and you hear the word spoken. This stage of the learning process is the “watering” where words are constantly revisited whilst new words are introduced. Once the words are well established in your short term memory (after several “waterings”) they are ready to be “harvested” or transfered to the “garden” of your long term memory – you will get an email telling you when your “plants” are ready for this process. Even here your “plants” will need periodic “watering”. I had a look at a few of the Mandarin courses first and was impressed with some of the visual mnemonics especially those where the character is essentially a pictogram. There are also some great “mems” where complex characters are broken down into their individual elements or radicals such as 青 (green) being made up of the radicals “one” + “earth” + “moon” where we can think of the whole of our natural (green) environment. Amongst the “courses” are the Asset languages Breakthrough word list, various HSK word lists and vocabulary from individual chapters of text books such as Jinbu, the Edexcel GCSE course book and Chinese made easy. For learners of other languages the same principles apply. Amongst the French “courses” I found both the OCR and the Edexcel GCSE word lists; AQA is probably there as well if you scroll through the courses for long enough. Amongst the German courses there is one based on AQA AS vocabulary and one on Edexcel GCSE vocabulary. If you don’t find the exact course you are looking for you could always create one for your learners, or get them to do it – there is a dictionary for each language! If learning 50 + languages is not enough for you there are also courses where you can acquire knowledge, such as the wild flowers or trees of Britain, or the names and faces of the members of the British cabinet or the Chinese Politburo standing committee!! All in all it’s a great way to learn vocabulary and the emphasis on making connections and frequent revisiting helps to make it stick. You are currently browsing the Learning and Teaching Languages blog archives for March, 2012.